Join Karen Wong, Deputy Director, for a private tour of The Oculus at Westfield World Trade Center. 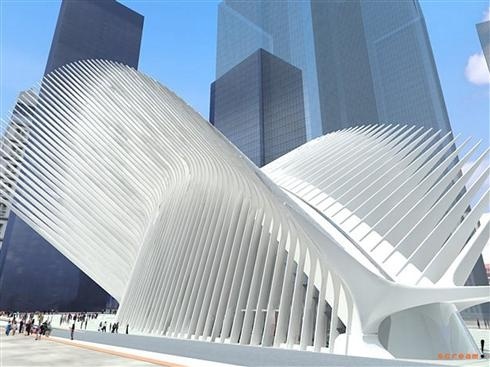 Designed by internationally renowned architect Santiago Calatrava, the Oculus will be a hub of fashion, food, transportation, culture and art. Inspired by the image of a dove released from a child’s hands, the structure demonstrates the enormous emotive power of architecture. Santiago Calatrava is best known for soaring designs such as City of Arts and Sciences in Valencia, Spain; the Milwaukee Art Museum; and the Alamillo Bridge in Seville, Spain. RSVP by Monday September 29 to Clare Quinlan at 212.219.1222 ×270 or cquinlan@newmuseum.org.